so we guarantee your peace of mind. All our cleaning technicians in Abbey Wood, SE2 London are properly trained and they are certified as reliabe and professional carpet cleaning technicians. The dusty London environment has a very bad impact on carpets and they generate a lot of dust in a short amount of time. Of course, carpets can also be polluted by mould, spills, stains, moisture and other small articles. All these things can do long-term damage to the carpet and spoil it irreversibly. Thanks to our professional carpet cleaning service, you can preserve your carpet’s condition for longer and greatly extend its lifespan. The training program which our cleaning operatives have to pass has been especially created to prepare them for the worst cleaning challenges. We guarantee that they can tackle any cleaning problem and solve it in a quick and efficient manner. 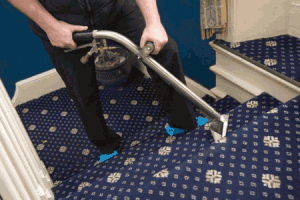 The innovative carpet cleaning methods we use guarantee positive final results that will fully meet your requirements. There aren't a lot of people who know that the secret to having a long-lasting carpet is having it professionally cleaned on a regular basis. Since I am familiar with this fact, however, it's no problem for me at all because I'm paying the best company in London! Abbey Wood is a district located in the south-eastern part of London. The area is part of the Royal Borough of Greenwich and got its name from a forest that was located near the Lesnes Abbey. The abbey in the area was first closed in 1525 by Cardinal Wolsey and this change drastically reduced the housing options in the area. Almost three hundred years later, the Abbey Wood railway station was opened and the place was inhabited by railway workers. After the Great War, the area became even more populated and established itself as a part of London. sporting grounds in the area. Here is the famous Abbey Wood railway station that you may use in order to reach the center of the city. It was opened back in 1849 and works since this date without much changes. I have been using your carpet cleaning service several times and I can definitely say that it is one of the must reliable in the area of Abbey Wood. I would fully recommend your company. Mitch is a great carpet cleaner and known in all South East London. 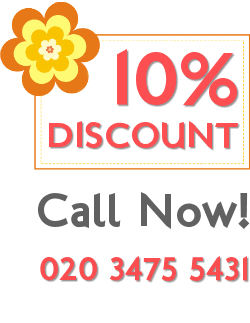 My family book carpet cleaning services with Best Cleaners London because of him. He is one o the most experienced carpet cleaners I know in the area.